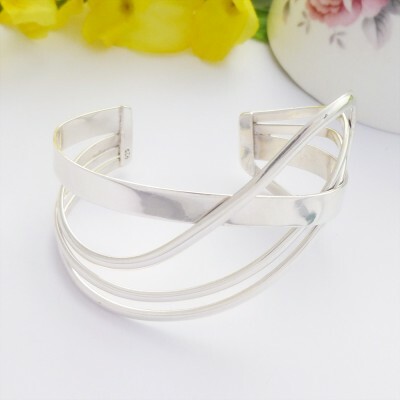 The Alana Wide Wavy Cuff is a truly beautiful sterling silver cuff. 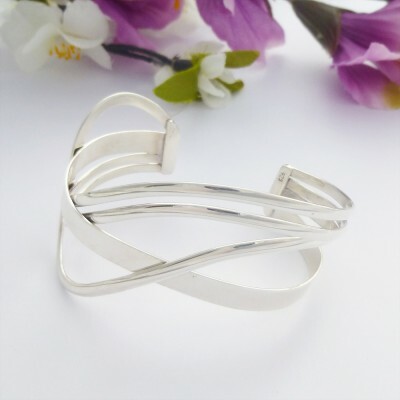 If you love beautiful, quality cuffs then you will adore the Alana Wide Wavy Cuff. 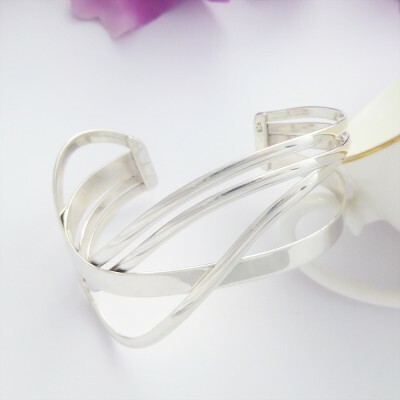 This elegant, highly polished silver cuff has an intricate wavy pattern and features a beautiful sterling silver ribbon which runs across this bangle creating a unique design. 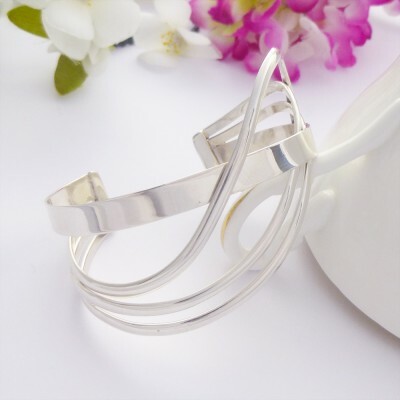 The internal diameter of the Alana Cuff measures approximately 60mm. The width at widest point measures 30mm. It measures approximately 60mm in diameter and 30mm at its widest point. 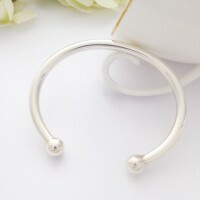 It is a wide sterling silver open bangle with a wavy design.